Bombardino - shares its name with a drink enjoyed in the Italian Alps and smells of rich lemon cheesecake. 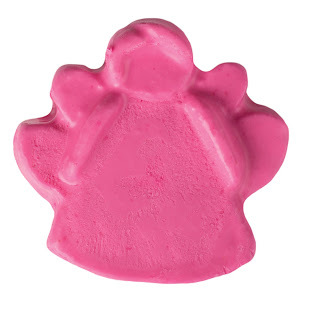 The bath ballistic features cocoa butter to help soften the skin, Sicilian lemon oil and fair trade vanilla absolute to offer a fragranced bathing experience. 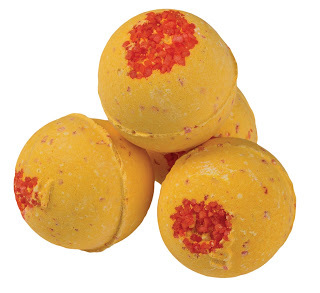 Luxury Lush Pud - is a bath ballistic that seeks to provide a soothing and calming experience. 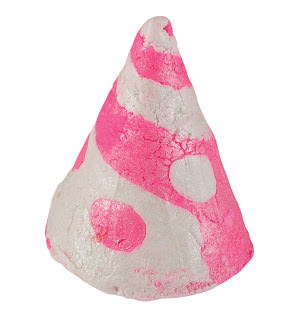 It features colourful polka dots that float to the surface, lavender and ylang ylang. 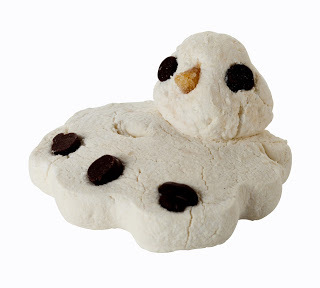 The Melting Snowman - bath melt with cocoa butter and almond oil to help nourish and soften the skin. It features cinnamon leaf oil to invigorate and shake off fatigue, plus clove leaf, lime- and sweet orange- oil. 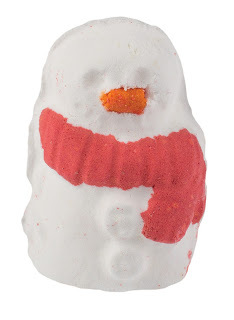 The Christmas Penguin - a bubble bar for the bath that features orange flower absolute and Sicilian mandarin oil. 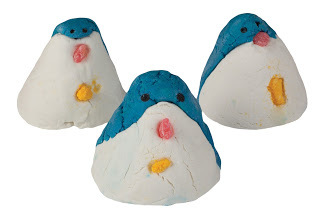 This product was inspired by the smallest penguins in the world, which are blue and from Phillip Island in Australia. Crumble this bubble bar under running water for a scented bath. 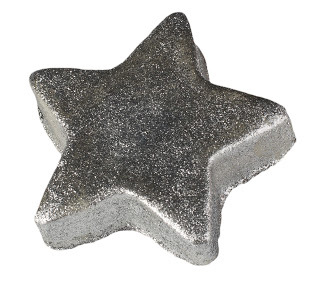 Star Light Star Bright - a bath melt that features cocoa and shea butter, ginger and lime oil to moisturise. Mr Punch - is a soap that helps soften and tone the skin. 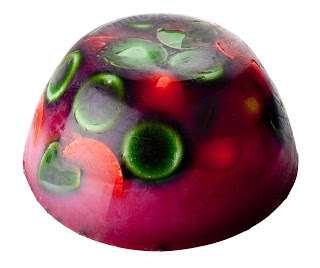 This vegan product features juniperberry-, lime- and coconut- oil, blackcurrant absolute and gin. 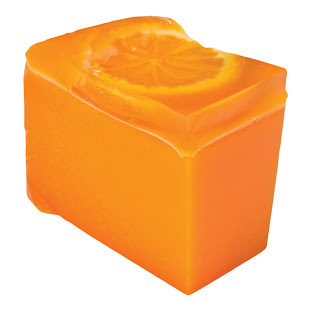 Orange Jelly - features freshly squeezed orange juice, Brazilian orange oil that helps tone the skin, and fresh orange slices preserved in a seaweed-based jelly. 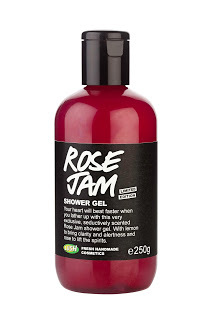 Rose Jam - a rose scented shower gel. 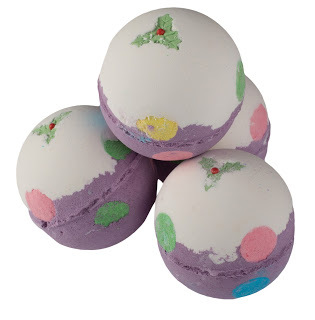 Secret Santa - is a double-layered bath ballistic scented with sandalwood, lime and floral oils to emulate the iconic store’s fragrance. 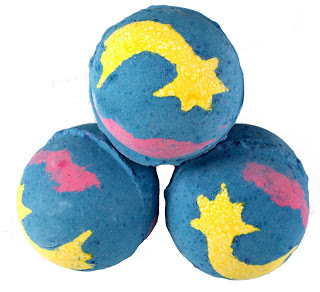 Shoot for the Stars - fragranced with Honey I Washed the Kids scent a bright yet relaxing bath time treat that contains glitter etc. Celebrate - a rich, emollient hand and body lotion with a cocktail-inspired fragrance features lime, Brazilian orange and cognac oil. Let the Good Times Roll - an exfoliating face and body cleanser that helps gently scrub, soothe and moisturise skin. 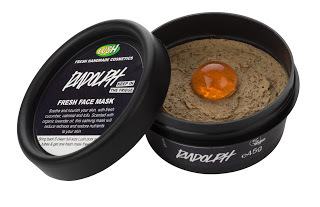 Rudolph - a face mask that works to soothe, nourish and calm the skin. It features fresh cucumber and aloe vera gel to help reduce redness, oatmeal, calamine powder, organic lavender oil to balance the skin, and green tea powder to help fight free radicals. Sandy Santa - a solid sugar scrub that helps polish and soften the skin, featuring coconut oil, and murumuru and organic shea butter to nourish the skin with a fragrance is inspired by Copacabana beach. 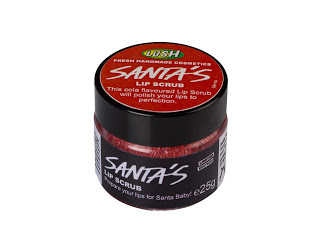 Santa Baby Lip Scrub - a cola scented fizzy lip scrub that has a slight red tint. 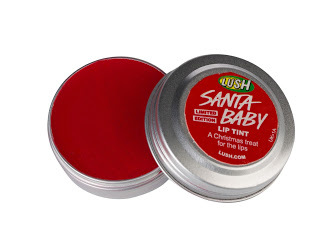 Santa Baby Lip Tint - a bright red tinted lip balm featuring fair trade butters to soften, carrot oil to nourish, extracts of cherries and dates for a festive flavour as well as extracts of cinnamon stick to help plump. Candy Mountain - a firm favourite for those that want to creates oodles of fluffy, fragrant, pearly white bubbles with a soft candy scent. 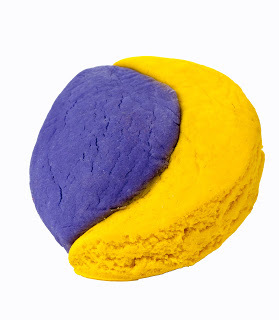 Christmas Eve - a bubble bar to turn the water blue and invoke the night before Christmas feeling. Featuring jasmine, ylang ylang and Irish moss powder to soften the skin and calms the mind before drifting off. Cinders - said to invoke the feeling of being by a glowing fireside. 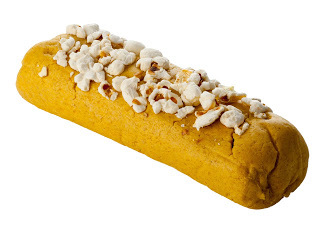 It is made with cinnamon leaf and orange oil and features popping candy to emulate the sound of an open crackling fire. 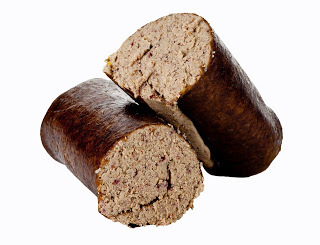 This product seeks to relax, lift the spirits and is vegan. 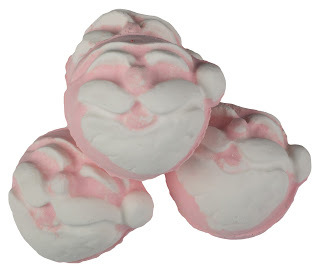 Father Christmas - a bath ballistic that fizzes around the water and turns it from bright red to vivid green. It features mandarin and bergamot oil, as well as orange blossom absolute blended to stimulate the mind and tone the skin. 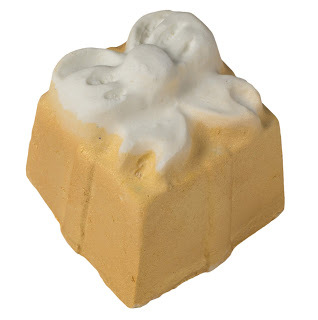 Golden Wonder - orange, cognac and lime oils that seek to uplift the spirits. This product has a Champagne-like fragrance and yet all I can think of is Golden Wonder crisps! 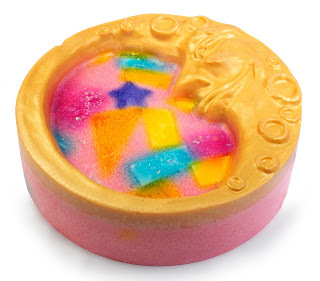 Magic Wand Bubble Bar - a vegan bubble bar that is re-usable for up to ten baths. 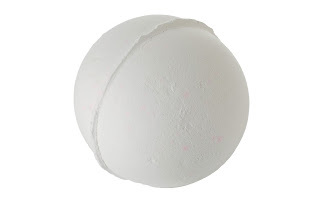 Swish this product around the water for a skin softening, vanilla-scented soak. 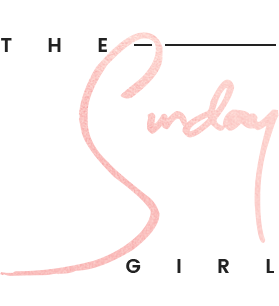 So White - featuring an apple-inspired scent and features neroli oil to help uplift the mind and rose absolute to help soften the skin. Snowman - featuring vanilla and ylang ylang fragrance for relaxation, and cocoa butter chunks that dissolve to help moisturise the skin. 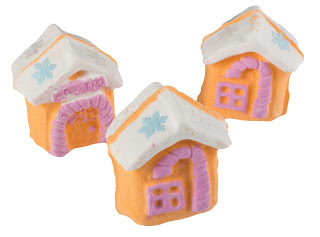 This product is the Christmas version of the all year round Butterball bath ballistic. 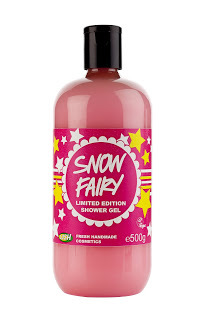 Snow Fairy - a bubblegum shower gel that is delivered in a bottle made from recycled plastic. This vegan product is unpreserved and features environmentally friendly shimmering luster. 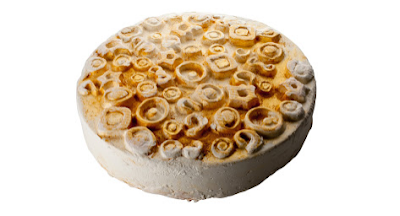 Snowcake - a soap that smells like almond marzipan and seeks to leave the skin softened. The vegan formula features rose absolute that helps soothe dry or sensitive skin, and berry scented cassie absolute. 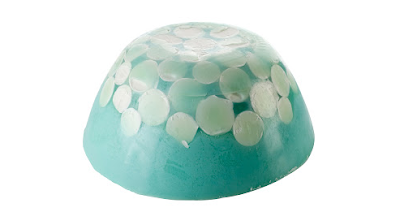 Snow Globe - a vegan friendly soap that is in the shape of a snow globe with white circles to imitate snowflakes. It features lemon myrtle, grapefruit oil and ylang ylang. Bûche de Noël - Featuring ground almonds to gently exfoliate, dried cranberries and fresh satsumas that work to tone and brighten, and almond oil and cocoa butter which act as an emollient. 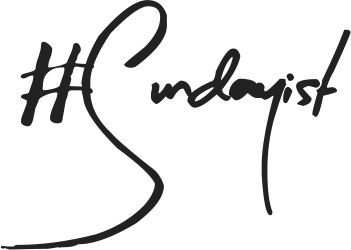 So what products catch your eye? THEY FINALLY HAVE A NEW LIP TINT!!! GLORY DAYS!!! Omg I'm so excited I love the silver star. 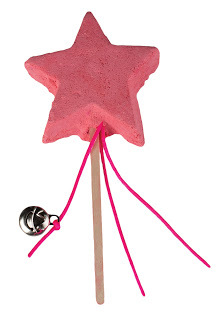 I actually still have one of the pink bubble bath stars from last christmas and I've used it a few times. I can't believe it's almost here feels like two minutes since it was christmas 2012. It's flown by this year. Oh my gosh I'm so excited for Christmas now!! Eek Know some people who'll love these too! OMG how cute are the penguins?!?! Will definitely be stocking up on those! There's SO MUCH stuff I want to try! 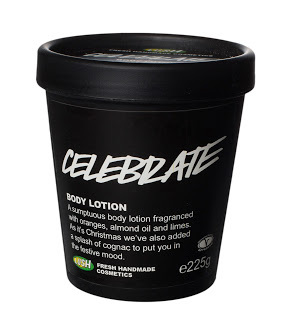 Can't wait to smell the Celebrate body lotion, it sounds amazing! 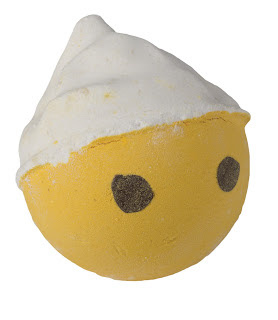 I never take baths but Bombardino is everything I love in one, so I may have to treat myself! All these look so lovely, can't wait to try them out! OOo wow these look great!! I can't wait to see them in the stores. 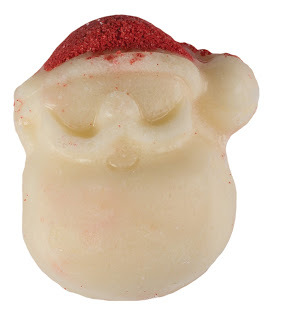 I love the Lush Christmas range!!! Can't wait!!!!! The Christmas penguin looks so cute!! YESSSSS LET THE GOOD TIMES ROLL! It's so amazing. I'm going to buy about 5 tubs! what's that noise? oh, just the sound of my wallet imploding. I need to get my hands on that little shiny star bath melt as well as the rudolf face mask, and the let the good times roll body scrub. Thanks for sharing! I'm very excited for these releases; their christmas products are always my favorites. Majority of that stuff will be bought whilst it's in store at Lush. OMG I NEED IT ALL!